MSRP: Unknown. I could not find this product listed on Platz's web site. It may be a new release for them. ​Platz sent me this PE set and 2 others (to be reviewed here soon) and a set of canopy masks for their Mig-15UTI kit which they also sent me a sample of (reviewed elsewhere here under AIRCRAFT. Platz is based in Shizuoka City, Japan. This set is done in cooperation with Eduard that is based in the Czech Republic. This canopy masking set comes in a sealed cello bag with card at the top with a hole in it to allow the product to be displayed on a hook at a hobby shop. 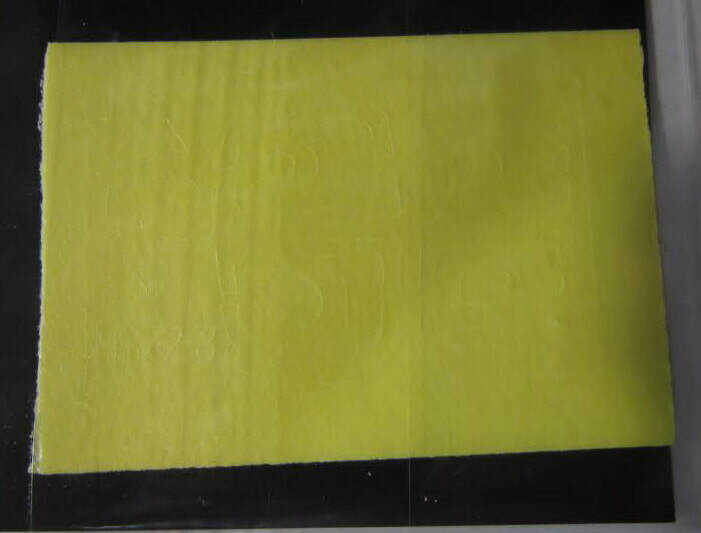 The mask is die cut on a self-adhesing yellow sheet on a stiff black card inside a further sealed cello bag in the other cello bag with the instructions. The instructions consist of a single sheet in 8 1/4" x 11 3/4" format printed on one side and folded several times to fit the cello bag. The instructions show 3 assembly drawings that are not numbered. Platz's street address in Shizuoka City, Japan, it's telephone and FAX numbers are provided as well as its web address. Eduard's name is shown here too. I was unable to photograph this yellow mask as the die cutting will not appear in a photo. Instead I have photographed the instructions sheet to show what's there. I hope this will suffice. This set will work well to mask the canopy on the Mig-15UTI model by Platz (reviewed elsewhere here). 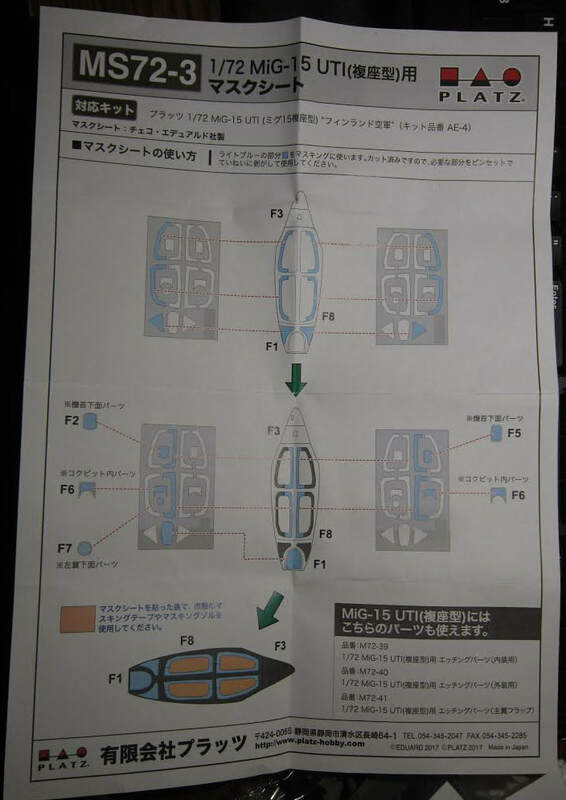 This is neat masking set for the Mig-15UTI. It will enhance the chore of painting the window frames of the canopy in the kit.